OpenSkies CEO Dale Moss and chef Michel Richard wait to welcome people onboard. This is your captain speaking ... Richard addresses media on the plane. 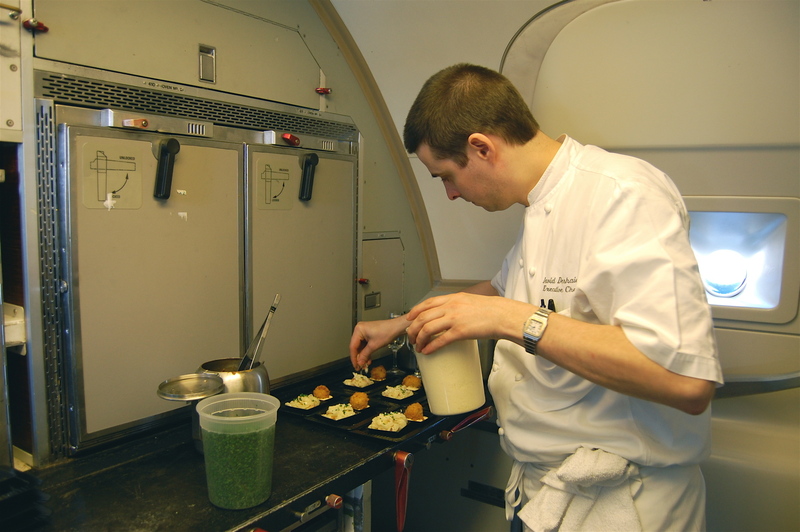 Chef Michel Richard is taking his whimsical, award-winning food to the skies. Following in the footsteps of other celebrity chefs who've done the airline menu thing (see: Charlie Trotter for United, John Besh for Lufthansa, Todd English for Delta), the chef of Citronelle and Central has partnered with OpenSkies to create menus for the all business class airline's new DC to Paris route. The route starts May 3, but passengers will have to wait until June for Richard's menu. His food will be served for two months and, if all goes well, the menus could become a regular feature. Samples of onion "low-carb-o-nara" and fried chicken bites on mustard sauce, served aboard the OpenSkies plane. 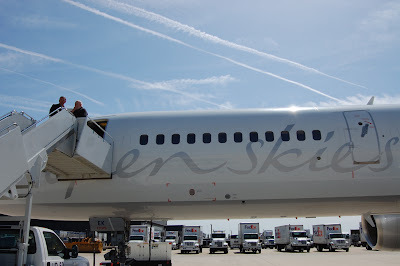 Richard and OpenSkies CEO Dale Moss welcomed media aboard a plane parked at Dulles last week to announce the partnership. 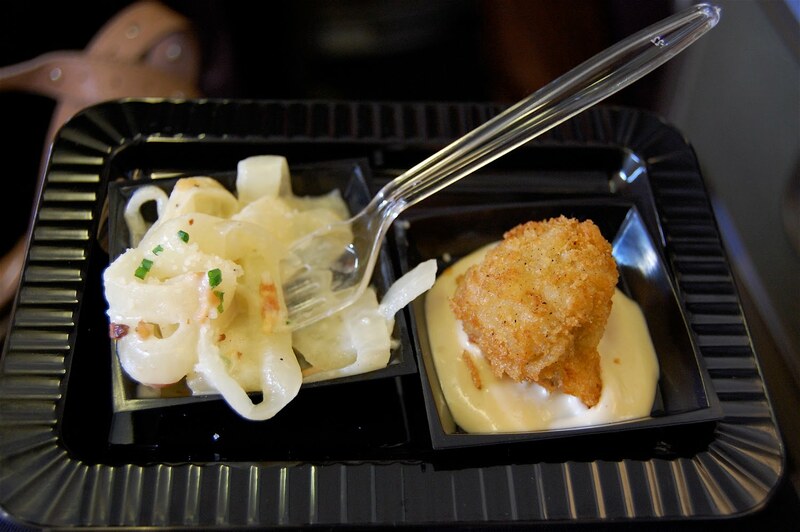 Citronelle executive chef David Deshaies assembled plates of fried chicken bites on mustard sauce and onion "low-carb-o-nara," thin threads of onion subbing in for pasta. 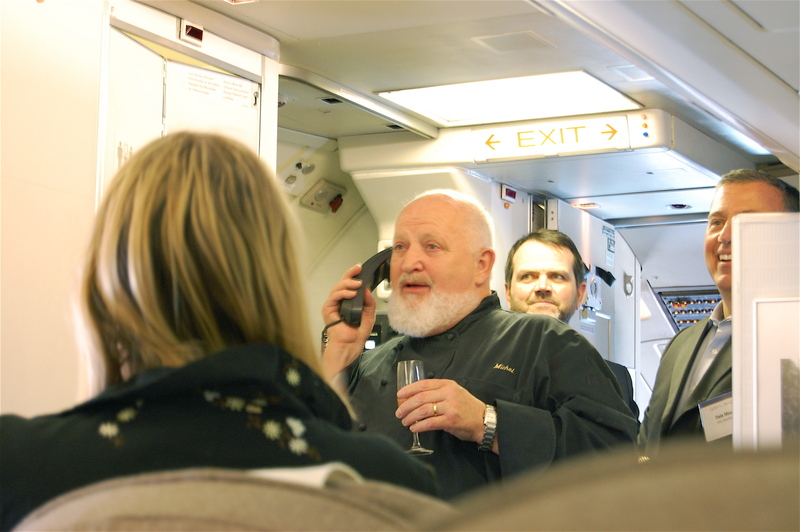 Citronelle executive chef David Deshaies gets a taste of flight attendant life. The chicken was perfectly crunchy, despite being fried ahead of time. 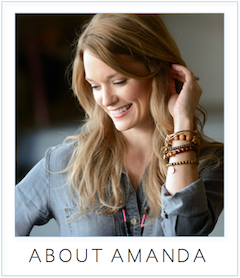 "There is no chef here," Richard told Metrocurean, and "I'm a chef who loves texture. 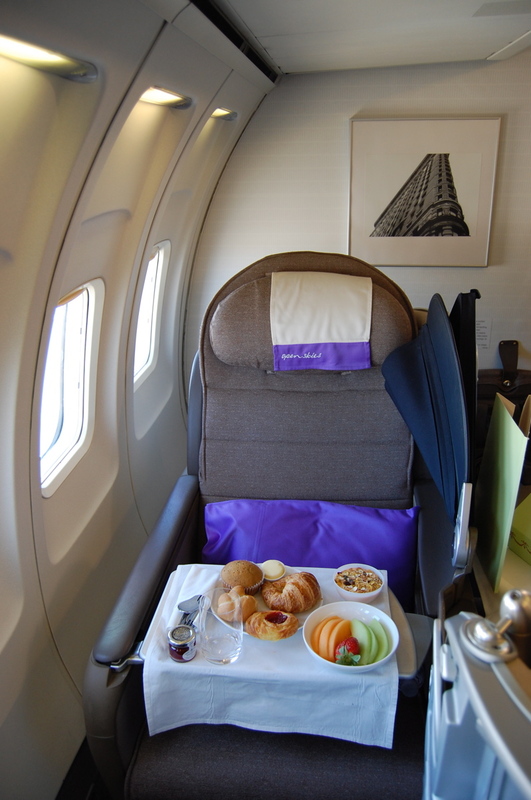 I am trying to make sure that the food will be good on the airplane." The actual menus are still being developed, but if I were flying in a cushy business class seat to Paris, I'd be thrilled to have some lobster "Begula" caviar from Citronelle, a lobster burger from Central and maybe one of the latter's over-the-top banana splits to ease the jet lag. A seat on the all business class OpenSkies plane. Seats on OpenSkies Dulles to Paris-Orly flight start at $740 one way, with a round-trip purchase.